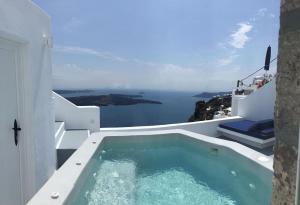 The Altana Cliffside Villas is located in the center of the Imerovigli cliffs in Santorini. Please note that breakfast can be arranged upon request and served in a cafe located only 3 minutes walk away. 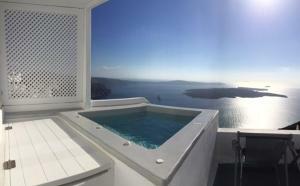 You can check in and collect the keys at: Altana Traditional Houses & Suites Reception, 84700, Imerovigli, Santorini. Please inform Altana Cliffside Villas in advance of your expected arrival time. For this, you can use the special requests section when making the reservation or contact the accommodation directly. The contact details appear on the booking confirmation. This cave-style villa is located in a restored 19th-century wine cellar and features 2 bedrooms, 3 bathrooms, a spacious living room, a large furnished terrace, an outdoor covered small pool and panoramic views of the volcano, Caldera. 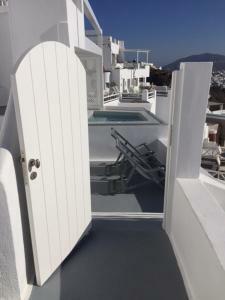 to the Aegean Sea and the traditional village of Imerovigli. This room is located on the upper part of the villa and features air conditioning, a flat-screen satellite TV, a safe, a bathroom with slippers and free toiletries, and views of the Caldera. Cave style villa located in a restored building dating back to the 19th century. 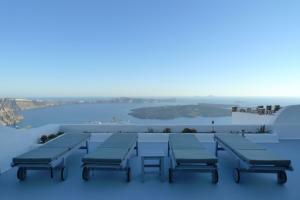 It has a small pool with a hydromassage area and a solarium with panoramic views of the volcano and the caldera. 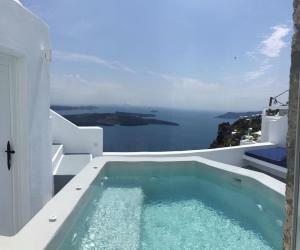 This apartment combines traditional and modern architecture and features a private terrace with panoramic views of the cliff and an outdoor plunge pool with spectacular views of the Caldera.